Deep learning may share some characteristics of traditional machine learning, but experienced users say it's really in a class by itself when it comes to predictive-model design and output. analytics and related applications may have a lot to do with how much data you're working with. "When you start getting into true big data, that's when you can really get into deep learning," said Alfred Essa, vice president of research and data science at New York-based publishing company McGraw-Hill Education. Driven by advances in analytics technologies, deep learning processes became a more widely discussed topic last year. Since then, what constitutes deep learning vs. machine learning has been up for debate. They involve a lot of the same tools and predictive modeling techniques, after all. But despite some similarities, the two are unique disciplines, Essa said in a presentation at the Business Analytics Innovation Summit in Chicago this week. For example, he pointed out that conventional machine learning algorithms often plateau on analytics performance after processing a certain amount of data. The reason, he said, is that when an algorithm is directed to look for correlations among specific variables, those correlations become apparent fairly quickly. There's only so much it can learn. The performance of deep learning algorithms, on the other hand, tends to improve exponentially when they're given more data to "train" on and then analyze, according to Essa. This is partially because they're less directed than machine learning algorithms. They take a neural-network approach to look for patterns and correlations that can be more subtle than what machine learning turns up, and that become clearer only with the use of more data. There are also differences in analytics output. Essa said machine learning algorithms always produce a numerical output, such as a classification or score. Deep learning outputs can be anything, including natural-language text to caption an image or audio appended to a silent film. Machine learning and deep learning may look a lot like one another on the surface, Essa said, but in reality it's the difference between "a propeller [plane] and a jet aircraft." This doesn't mean machine learning is dead. Essa said he expects data scientists to stay employed developing machine learning algorithms for the foreseeable future, because most companies aren't working with large enough data sets to get much out of deep learning applications. That's the case for his team at McGraw-Hill right now, which is investigating but not yet using deep learning. "Traditional machine learning isn't going away," Essa said. "There are lots of problems that are still applicable. Most of the machine learning that we do, it's not deep learning. We're working with relatively small data sets. Various machine learning techniques could be tried. This is what good data scientists do." LinkedIn Corp.'s data science team recently learned the same lesson. In another presentation at the conference, Wenrong Zeng, a business analytics and data science associate at LinkedIn, said she and her colleagues tried using deep learning techniques in a project to score sales leads for the Mountain View, Calif., social networking company, which is now owned by Microsoft. Specifically, they wanted to predict which corporate customers had the highest potential to be upsold on hiring and recruitment services. But the data scientists didn't get the kind of predictive-model performance they were looking for from the deep neural networks. The reason, according to Zeng, was that they didn't have enough data. "For deep learning you need a large scale of data," she said. "We have just a couple hundred thousand samples. That's not enough." So, the data science team settled on more conventional machine learning methods instead. They used an ensemble model that combines random forest and gradient boosting algorithms, which Zeng said worked better than deep learning models for this particular application. But even though traditional machine learning techniques aren't going away, businesses may soon find that they get more business value out of deep learning. Machine learning is increasingly becoming automated by software, and the required skills aren't as unique as they once were. One the other hand, some enterprises are betting big on deep learning to gain a competitive edge. At the conference, Jan Neumann, director of the Comcast Labs research group within Comcast Corp., talked about how the Philadelphia-based TV and movie company is using deep learning to develop new products. For example, it now has a voice-controlled remote control that leverages deep learning models to transcribe and interpret natural-language commands and return results that are relevant to users' queries. We have the advanced algorithms now to create new experiences [for customers]. Jan Neumanndirector of Comcast Labs research group, Comcast Corp.
Comcast is also applying computer vision, audio analysis and closed-caption text analysis to video content to break movies and TV shows into "chapters" and automatically generate natural-language summaries for each chapter. That lets viewers find the specific parts of shows they're most interested in, Neumann said. Similar algorithms are being applied to NFL and professional soccer games to automatically generate highlight reels, he added. Neumann said these deep learning techniques are enabling Comcast to go beyond the traditional model of just passively serving up TV channels to viewers. "We have much more data at our disposal, we have much more computing power and we have the advanced algorithms now to create new experiences [for customers]," he said. Essa said that forward-thinking enterprises will find ways to leverage deep learning to develop new business models, while traditional machine learning is essentially relegated to helping businesses perform existing operations more efficiently. He sees that as one of the key differentiators in the question of deep learning vs. machine learning. Deep learning can theoretically answer much bigger questions than people previously thought machines were capable of taking on. That makes its potential value to businesses substantial, Essa noted. "Front-running companies are investing in deep learning," he said. "Many companies are betting that this will be disruptive." What do you think are the main differences in deep learning versus machine learning? Predictive analytics can help companies identify trends and better understand customers. The potential business benefits are big, but building predictive models isn't simple. A successful predictive analytics program involves more than deploying software and running algorithms to analyze data. This set of steps can help you put a solid analytics foundation in place. 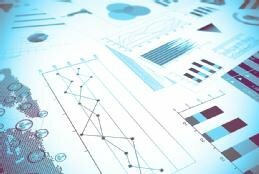 Data analytics can help improve decision-making in organizations. But human intuition and judgment need to be part of the picture to keep predictive models and analytical algorithms from going awry. So after reading this, my question is how we can incorporate deep learning in telecom networks? That's a good question. A lot of people are still trying to figure out how to apply deep learning in enterprise settings. Maybe it could be used in telecom to assess network traffic, optimize resources for expected loads, ensure network health or gain insights about customers. There could be many possible applications, but I don't know if there's a clear-cut answer at this point. Part of this is a systemic management process problem where deep/machine learning cannot be discussed/tested/implemented even at the lowest levels due to management resistance because of their lack of understanding of the problems involved. Another part of it is because a lot of people are just not creative or have had their creativity crushed by management. It boils down to: People are generally fearful of things that they don't understand and managers have an extreme fear of failure due to it possibly costing their jobs. This is why change is so slow to coming to the workplace.